Lighthouses have been mystical towers of strength, reliability and safety throughout time. Lighthouse Home Decor can give your home a feel of being grounded and settled, of being a safe haven. Welcome to our page of Lighthouse Home decor! Whether you (or somebody you know) is a collector of Lighthouses, or you want to add the finishing touch to your beach theme home décor by adding a Lighthouse item, you will find an array of perfect Lighthouse home décor on our site. Lighthouses are a legendary and most important feature of ship navigation through times. The earliest Lighthouses were simply bonfires built on hillsides to guide ships. The first light served the old world city of Alexandria in 285 B.C. And the first light in America came to life in 1716 at Boston Harbor. Lighthouses elude a powerful yet calm presence wherever they were built. They lure us to the sea. Seeing a Lighthouse means smelling the fresh sea breeze, feeling the wide open spaces of the ocean and hearing seagulls cry. Capture this fresh, serene and cleansing ocean feeling in your home by adding a Lighthouse item to your décor. Combine it with some seashell items from our seashell home décor page and it will look stunning. Lighthouses also represent an aid for navigation through the troubled waters of life, and they come in many shapes and sizes all around the world. When all seems lost, their bright beam of light will help us to navigate in a safe direction past any dangerous shoals we might come across. 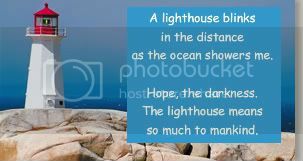 They are symbols of Hope, Faith and Love, and home décor in the form and shape of a Lighthouse might just bring that into your home! You can add a safe keeper to your home by choosing one of our Lighthouse home décor items. Lighthouses are still one of the most popular collectibles because of what they represent an their history. Start your own collection – or expand it – with items from our Lighthouse décor.